$25.00 Gift Code Giveaway from ErinCondren.com! Aquaphor and Visa Gift Card Giveaway! Champion Me Books - The absolute BEST gift! Swanky Deal on Melissa and Doug Toys! Freebie Alert: Score your fabulously FREE belt! Coupons for Juice, Dog Food, Lip Balm and More! YUM! Free Diabetic BBQ Recipe Cookbook! $200 Credit to TriLight Health! May Day Giveaway over $1,200 in Cash and Prizes! Free Trial Pair of Contacts! Need website hosting? Check out BOUNCEWEB! Bright Starts Ultimate Baby Shower Giveaway! Did mom let her 5 year old tan? Is paying off your mistress a campaign expense? 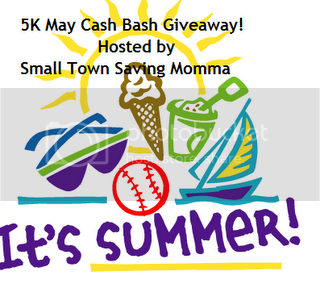 Small Town Saving Momma is super excited to reach the 5K Fans and to celebrate she has teamed up with some awesome bloggers (Like Swanky Moms Club) to bring you Small Town Saving Momma's 5K May Cash Bash Giveaway! Hi! I'm Ciera, the face behind SwankyMomsClub.com. I live in Dothan, Alabama with my husband, three children and our mischievous dog Harley. To read more about me and my family just click the Meet Ciera tab at the top of the page! Thanks for stopping by and be sure to subscribe to our site using Google Connect (top left) or Networked Blogs (top right). Do you have something totally fabulous that you think is worth blogging about? Email me, I want to hear about it. Do you own a business? 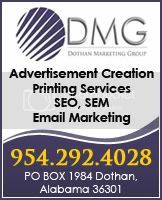 Check out how you can advertise with us!